How to start your day in Miami? With a Cuban Breakfast, of course! Begin your day with a satisfying “desayuno”! No visit to Miami is complete without it. Not sure how to eat a Cuban breakfast is, or even what it is? Read on for everything you’ll need to know about this delicious morning treat. It is widely known that breakfast is the most important meal of the day. And of course, you must indulge in a local morning flare when you visit any locale in South Florida, not just Miami. A traditional Cuban meal sets you up for the rest of the day. But be warned, this breakfast is so good, you may actually look forward to waking up in the morning. What is a Cuban breakfast? It is not complicated at all. 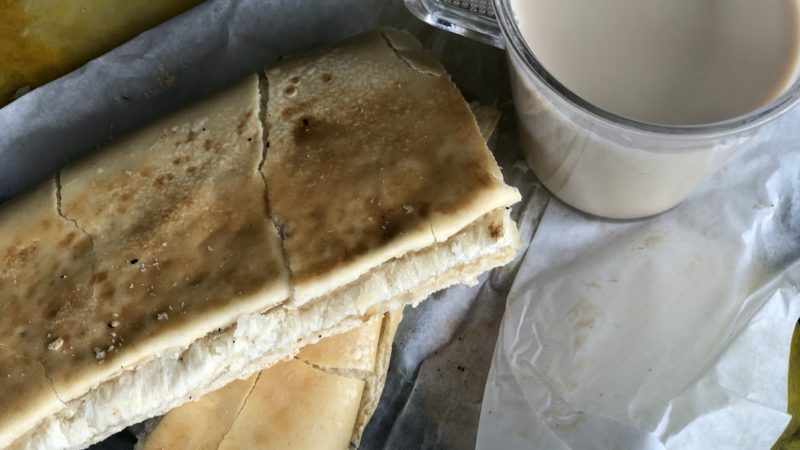 A Cuban breakfast can be as simple or as filling as you require it to be. Typically, the Cuban Breakfast menu starts off with coffee and bread (cafe con leche and tostada). But not just any coffee and bread! 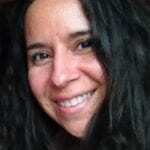 It is a given that you will have coffee with all of your Cuban meals. The smooth “coffee with milk” is included with nearly every breakfast platter, as well as sold a la carte. A mug of warmed milk is served with a small metal carafe of hot Cuban coffee. Pour the coffee into your warmed milk and add sugar as you like. Yes, this drink is essentially a Cuban-style latte. A little coffee goes a long way, so taste as you go. It might be stronger than you think, so add more warmed milk to make your mornings milder. Cuban bread is essential for one of the most delicious menu items, the tostada. What is a tostada? Think half a loaf of Cuban bread sliced, flattened, buttered and grilled on a panini grill. It’s the Cuban way to do toast. I do encourage you to dunk your bread in your coffee for a real treat. Need more than coffee and bread? Add a preparada (a Cuban bread sandwich of ham croquettes) to the mix. Alternatively, you can go for a breakfast platter which usually includes the cafe con leche, tostada, scrambled eggs, bacon and diced potatoes (country style). When in Miami and looking to enjoy this meal, no worries. Finding a Cuban breakfast is as easy as visiting a local strip mall, large shopping center or stand-alone restaurant. You can even venture to a “ventanita” which is a small window to the side of many cafeterias. Cuban cuisine is plentiful in Miami-Dade County. The challenge is narrowing your choice! Whatever you choose, these are sure to satisfy and not break the bank. In the heart of Little Havana, you will find one of the most popular Cuban restaurants in the city. 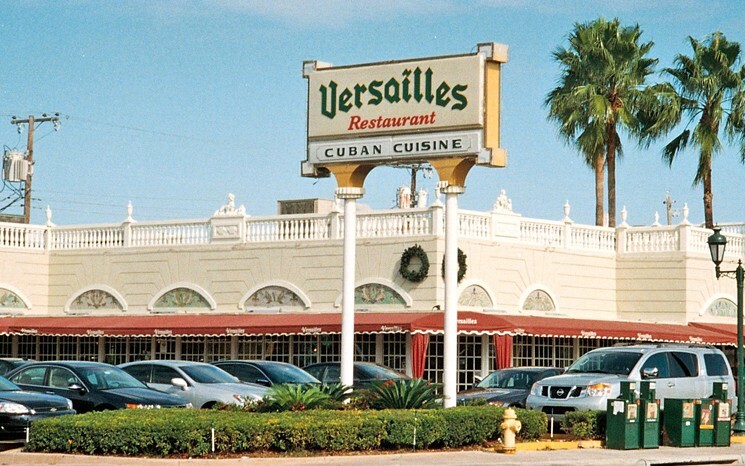 Versailles has been open for more than 40 years and its food always draws a crowd. Be prepared to wait a bit for a table. Do not worry, the queue goes fast. More importantly, the food is good! Breakfast goes beyond it all here. 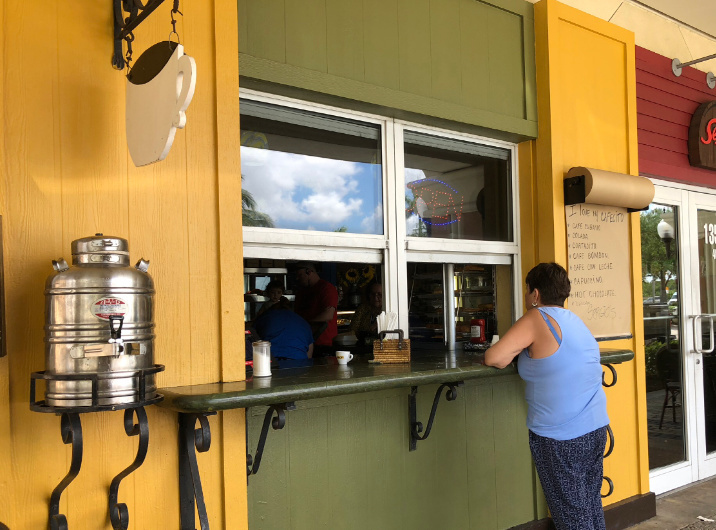 There is actually a breakfast buffet you can try that offers fried eggs, Cuban desserts and even some Cuban food like ropa vieja (a shredded beef dish) and black beans as well. You’ll also find other more traditional American dishes such as pancakes, French toast and waffles. In the mood for a Cuban Sandwich? Yes, this is the place for that as well. This place serves all Latin American food all day. Fast and systematic service characterizes this restaurant. It is heavily visited by locals because it has some of the best breakfast deals around. 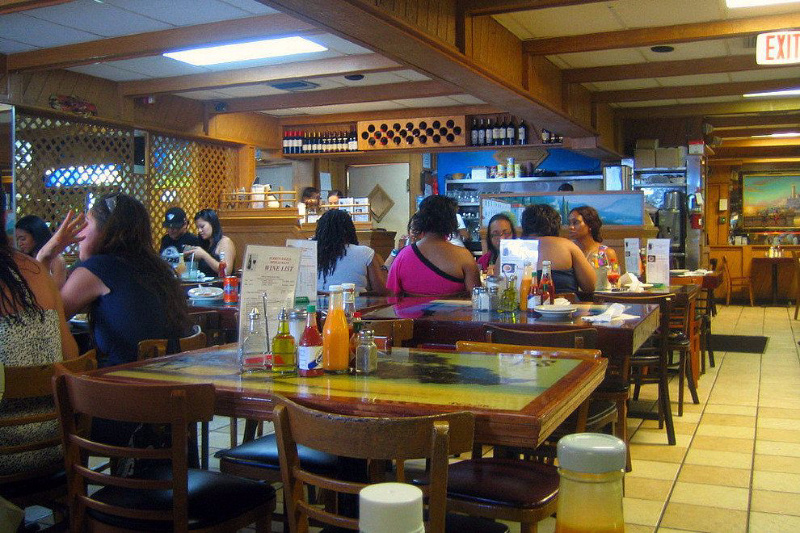 A small restaurant located in Southwest Miami, this site is popular with the locals. The menu includes just a few breakfast platters, but everyone leaves satisfied. Live music entertains diners in the evening. This low-key diner in South Beach has been around for a long time and it is the place to go for breakfast, especially after a late night out. In addition to a regular Cuban breakfast, you might get some sweet plantains on your table! You can experience a Cuban Breakfast in Miami just about everywhere you turn in the city. It is definitively an experience to include in every visit to the Magic City. 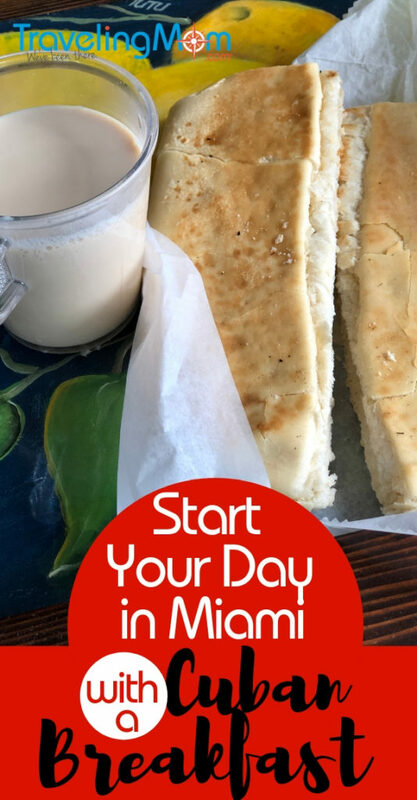 A Cuban breakfast is satisfying, rich and full of sabor! Are you ready to indulge in a Cuban breakfast? Previous Post: « You’re Tempted – But is the Disney Vacation Club Worth It?